MiShel Designs: I Heart Macro - It's Sunday! I Heart Macro - It's Sunday! Linking up with I Heart Marco today over at Studio Waterstone. Peace, Love and Pink Roses! Oh my goodness, that is just beautiful! Happy Sunday to you too! 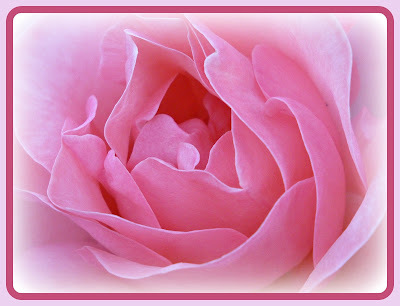 A beautiful composition with excellent colors, I like this rose. Lovely rose! Have a great week! Happy Sunday a few days late! I love roses and this one is gorgeous! Absolutely beautiful - pink happens to be one of my favorite colors!